Yiwu Daily Necessities Market - All Original, Fresh, Useful Information. Location: 2nd Floor, District 4, International Trade City. Yiwu daily necessities market was officially opened late last year. It’s one of the youngest Yiwu markets, and it's also the one of the largest. 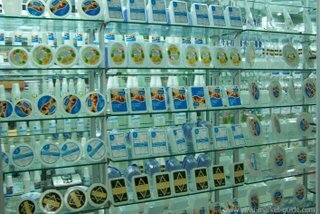 There are more than 3,200 stalls full of 20,000+ kinds of products, covering 20 major categories, inside this market. 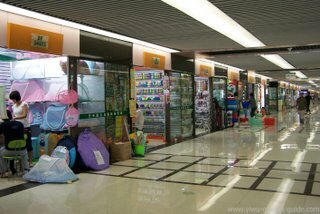 Unlike other markets in Yiwu, this brand new market is the most comfortable and spacious. The lifts, elevators, air-conditions, lights, noise control facilities, floor tiles, as well as the whole layout are all designed to make shopping much easier and more comfortable. All the stalls are queued in straight lines and decorated with glass screens. You can have a good 20 minutes walking and browsing inside, without turning left or right. 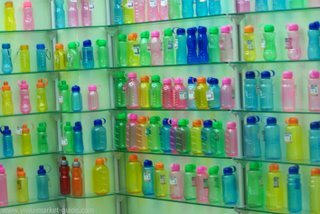 Ceramics like fruit trays and toilet covers; wooden and bamboo products like outdoor desks and baskets; baby supplies like baby wipes and baby bottles; pets’ supplies, kitchen gadgets, tooth picks… and all kinds of plastic products are what you'll find here. Over 70% of the products inside this market are exported to Africa, Mid-east, Europe and America. The prices are very competitive too. 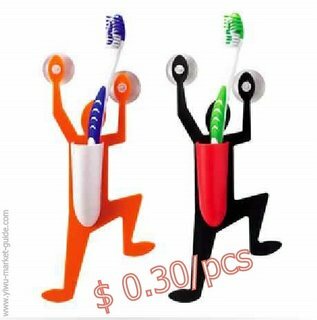 A toothbrush holder of $ 0.30 can be sold at $ 3.00 on eBay US. I'm sure it is more expensive in American small supermarkets. 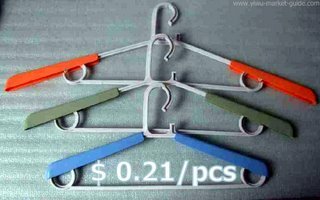 You can see the prices of some products in What's Hot section at the bottom of this page, to have a basic idea of the profit margin. A large portion of strong suppliers from all over China, especially from Zhejiang and Fujian province, are taking this market as their springboards to enter overseas market. 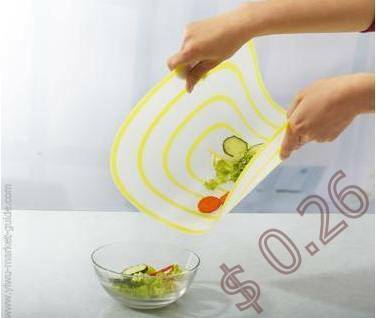 There are a lot of plastic products suppliers from Huangyan and Taizhou, and ceramics suppliers from Guangzhou and Shantou. Over 60% of stalls are factory direct outlets, the rest of them are agents and distributers. To improve the overall quality level, this market reserved a special section for all the China top brands and world top brands. They keep bringing more and more quality stuff inside right now. So you will find global brands, China top brands, local small brands and non-brands are all under one roof. What's more, you can see many new models here much earlier than anywhere else, because many suppliers take this market as a showroom to introduce their new products to global market. This can really save you a lot of energy if you have one or two daily necessities stores, and you’re looking for something from China to put on your shelves, then this market would definitely be one of your one-stop sourcing destinations. This kind of Spiderman-Like toothbrush holder, with two suction cups, is quite new in this market. They should be attractive to young kids. 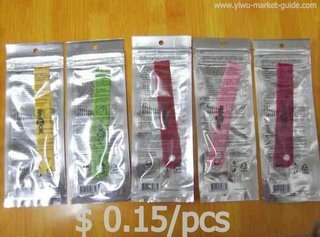 Different prices for different materials. These organic, nice-looking rings can keep mosquitoes away for up to 7 days. They are simply made of a piece of cloth and some citronella oil. Good substitute for mosquito coils or other chemicals used for mosquito repelling. No more words. This is a best photo to demonstrate this cutting board. Another reason for being hot is the price – really cheap. Cheap and adjustable are the two best selling points. “They are strong and durable, you see…” recommended by Mr. Cao. 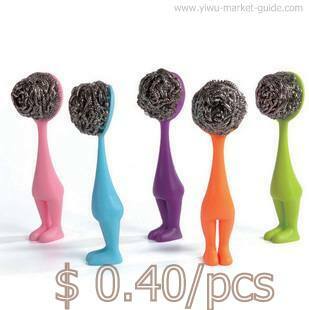 This is just one type of the nice metal wire cleaning balls here. The handle can add a little extra fun inside your kitchen. Most ordinary products with a bit creative ideas works well on this market. 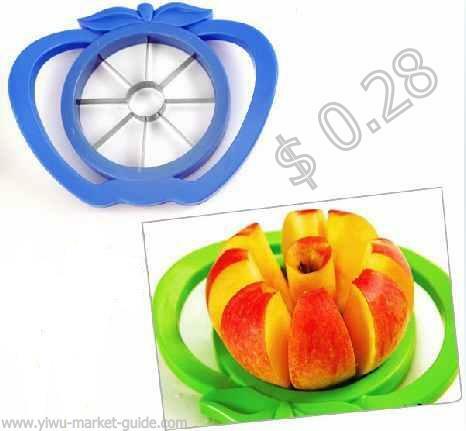 This apple peeler can help you reduce several cuts to just one cut, and the price is very cheap. So they are hot. 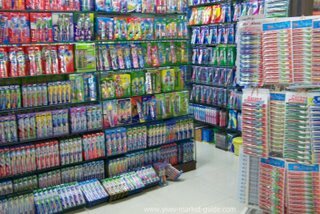 >> Return to Yiwu Market from Yiwu Daily Necessities Market.